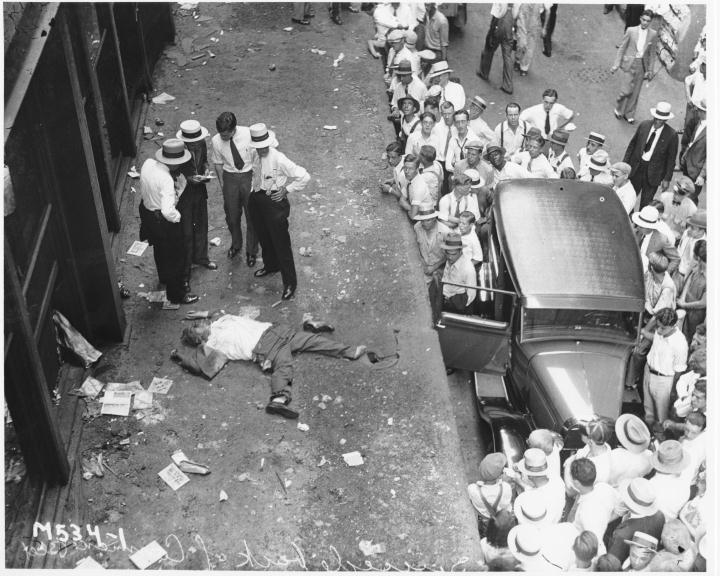 The last part of pictures regarding the Great Depression concerns the actual beginning of the crisis. Massive speculation preceded stock market crash on Wall Street. Just before the collapse, economist Irving Fisher famously stated, "Stock prices have reached what looks like a permanently high plateau." As the optimism of the bull market shattered on Tuesday, October 29, he probably regretted those words. 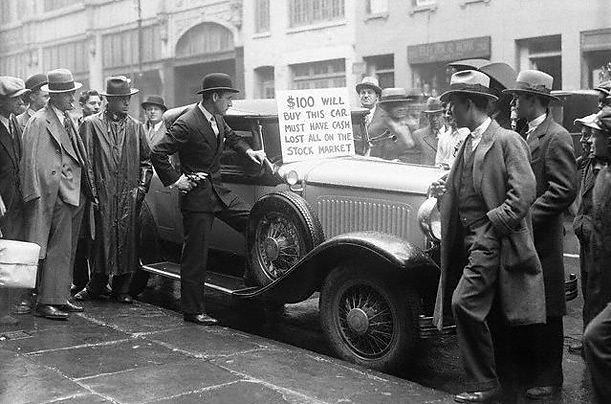 Almost all share prices on the New York Stock Exchange took a sharp dive. Several leading Wall Street bankers met to find a solution to the panic and chaos on the trading floor, determining that strong buy activity on leading blue chip stocks (U.S. Steel) could ease the panic. Most notable authority was the legendary J.P. Morgan. That action proved only a quick fix which lasted a day. The fall actually continued at an unprecedented rate for a full month. Investors began to despair, some even to the measure of taking their own lives. Others became crazy with euphoria and even tried gathering more money believing the crisis will be short. 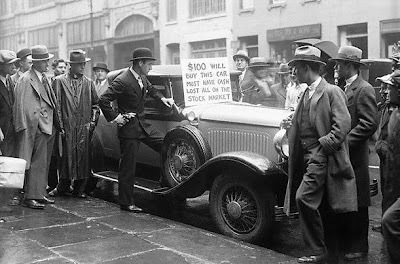 Read more about the stock market crash of 1929 here. You can also watch a documentary on Youtube of the ordinary people stories during the crisis, first part covering the circumstances of the Great Depression and the second part showing the hardship and the American culture of the period. Warning, some pictures are quite graphic.